Pursuant to the provisions of Chapter 39-18-4 of Rhode Island General Laws and Title VI of the Civil Rights Act of 1964, the Board of Directors of the Rhode Island Public Transit Authority (RIPTA) hereby gives notice of its intent to hold public hearings on a proposed new fare structure. 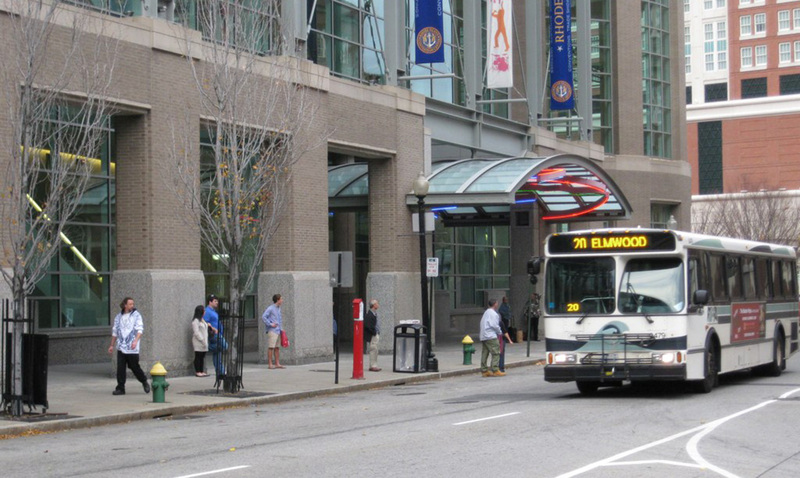 The Board also hereby gives notice, in accordance with the Administrative Procedures Act, Rhode Island General Laws, Chapter 42-35, of its intent to hold public hearings on a proposed new Reduced Fare Bus Pass Program regulation. The proposed fare structure and a concise statement of the non-technical differences between the existing Reduced Fare Bus Pass Program and the proposed Program are available for public inspection at 705 Elmwood Avenue, Providence, RI, or by email at mditoro@ripta.com, or by phone at (401) 784-9500 ex. 171. In development of the proposed Reduced Fare Bus Pass Program, consideration was given to (1) alternative approaches; (2) overlap or duplication with other statutory and regulatory provisions; and (3) significant economic impact on small business. No alternative approach, duplication, or overlap was identified based upon available information. All interested parties are invited to submit written or oral comments concerning the proposed fare structure or the proposed Reduced Fare Bus Pass Program by December 1, 2015. Comments may be sent to RIPTA, Office of the CEO, 705 Elmwood Avenue, Providence, RI, 02907. Comments may also be sent by email to marketing@ripta.com or made by phone to (401) 784-9500 ex. 101. These hearings will be accessible to persons with disabilities and upon request, persons with limited English proficiency. RIPTA will provide translation and interpreter services for the deaf and hearing impaired, provided such a request is made at least 72 hours prior to the hearing date. A request for this service can be made in writing or by calling (401) 784-9500 ex. 242 or 800-745-5555 (RI Relay TDD). RIPTA has shown in the past that they back down when faced with large opposition to cuts. Fare increases over the recent past have gone through, although there has been little push back during public hearings for fares. I would not be surprised if RIPTA continues the free rides, given this opposition. The trouble is, their budget depends on about $3.5 million/year in enhanced passenger revenue, and unless they find further internal efficiencies, attract many more paying passengers, or get additional funding from the Assembly, if they don’t charge the free riders fares they will have to cut service, hurting all passengers and reducing our future hopes for transit. Its not just about the free riders – that last point also relates to their proposal to raise monthly passes from $62 to $70. At $2 per cash trip, this would price monthly passes at 35 trips, well above the average of bus systems that I surveyed where the average cost of a monthly pass was 32 times the base fare. The increase in monthly passe will tip some riders into paying one trip at a time, deterring use and slowing boarding times. I’ll note that a 1 cent rise in the gas tax (would anyone notice?) which would bring in about $4.2 million, more than cover the fare increases.